In the midst of holiday stress? 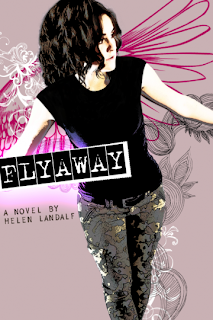 Take a moment to listen to our interview with Helen Landalf, author of the awesomely edgy new contemporary novel, Flyaway. We got to talk to Helen about setting her book in Seattle, her love of revision, and how she unwinds after writing some really intense stuff. Enjoy! Want to download this podcast? Click here for the mp3 or subscribe on iTunes. Hosting courtesy of archive.org. Intro music by 46bliss.